Last Sunday morning I drove to the coast to take a walk by the ocean. Afterward, I stopped in at a yarn shop a few blocks from the beach and discovered they were offering 20% off their entire inventory. Oh, frabjous day! Callooh! Callay! The Mission 1824 Cotton is for making wash cloths. 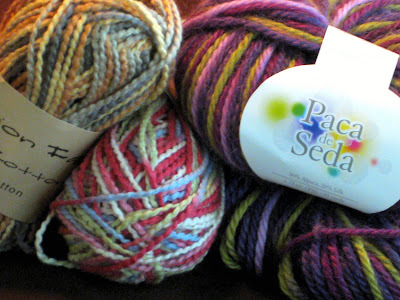 I'm using the Paca de Seda alpaca/silk blend to make a scarf for someone who shall not be named as she might be reading this. The pattern is the Yarn Harlot's One Row Scarf. My Reversible Cable Scarf that I started a few weeks ago is coming right along, too. On a completely different subject, did you watch the season premier of Dancing with the Stars this week? Last season wasn't very interesting, but this season they have a great line up. Did you see Jennifer Grey dance? 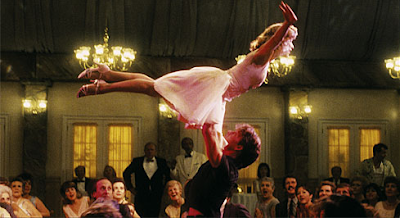 I loved the movie Dirty Dancing when it came out (still do). Seeing her dance again so beautifully after all these years brought a few tears to my eyes. Beautiful yarns and scarves! Love them! I LOVE DWTS and I love Dirty Dancing! It is one of those movies that I could watch over and over again! I love Jennifer Grey and I think she did a marvelous job! Have a wonderful day my friend! HUGS! That is some of the yummiest yarn I've seen. It will make a gorgeous scarf! Dirty Dancing fan but I don't watch DWTS. I may have to tune in to see Jennifer Grey dance. 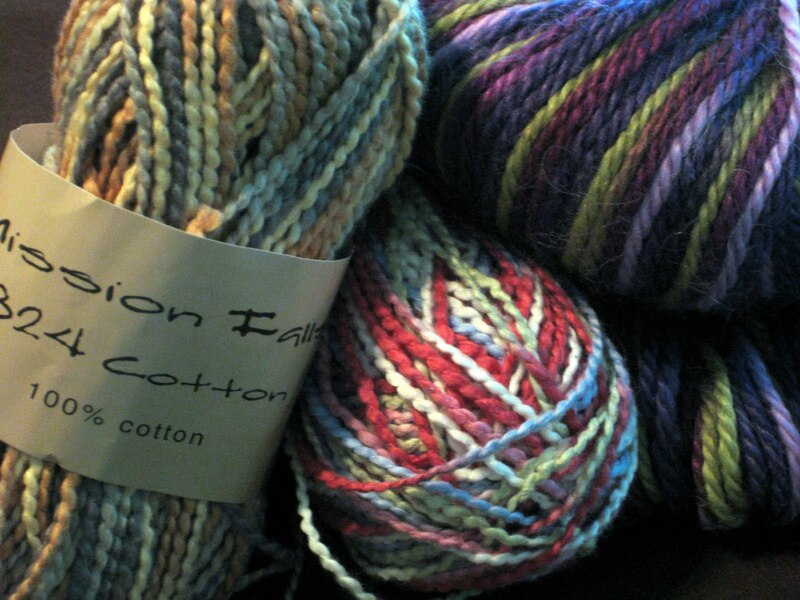 Oh, the yarns are incredible! We watched DWTS....I don't know who I liked best! Oh purdy! Nice to see you knitting again. 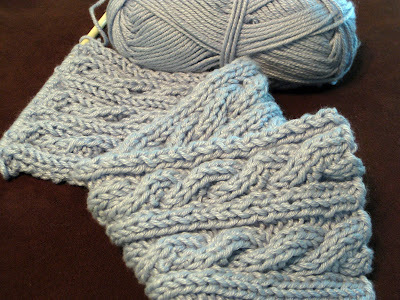 That cable scarf is going to be GORGEOUS! I caught just the last few dancers on DWTS. Jennifer Grey was wonderful. Oh gosh -- I've never been a DWTS fan, but so many people have been talking about it this season, I may have to change my ways. 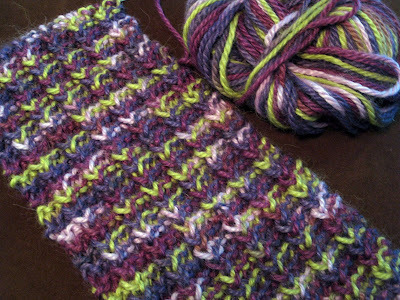 Love your pretty yarns! i learned a new paper process that is fun and beautiful. we need to plan a craft day after you move. check out my current blog post. i have given you an award. fun. i will do "silly stuff about me" me next. Guess what I'm shopping for?